Turfs Or Indoor Shoes Only....THERE ARE NO CLEATS ALLOWED!!!!! In order to reserve your spot a registration form and $200 deposit are required no later than 2 weeks before the session start date. The remaining balance is due the first week of play. Teams that fail to make payment can be dropped from the schedule at any time and they will NOT be refunded the deposit. Each Team Is Required To Have A Player Roster. There is No Maximum To The Amount Of Players On Your Team. Numbers Are At The Discretion Of The Coach/Manager. Coaches/Managers Are Responsible For Having Each Player Sign A Waiver. 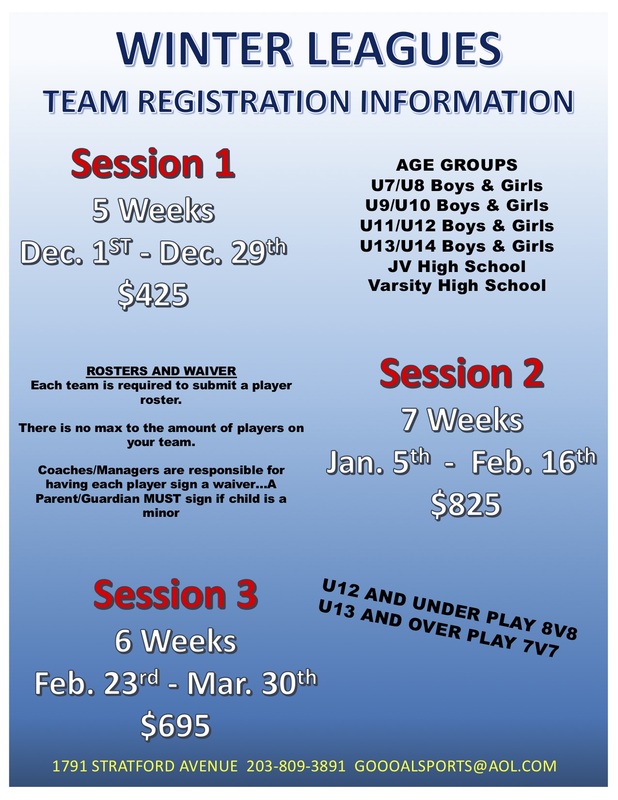 A Parent Or Guardian MUST Sign If The Player Is Under The Age Of 18. All Waivers MUST Be Filled Out Before Sessions Starts. Any Team Adding Players Must Has Said Player Fill Out A Waiver Before They Can Be Added To The Team. Goooal Sports Is Sanctioned By CJSA (Connecticut Junior Soccer Association). All Players Are Required To Pay An Additional $3 Fee For Insurance Coverage.